https://kriznanultrasoundimages.com/2013/05/12/tetralogy-of-fallot-tof/ at this time there was a revision of the cardiac findings : LEFT ATRIAL ISOMERISM WITH TETRALOGY OF FALLOT The irregular rhythm was not made out now. 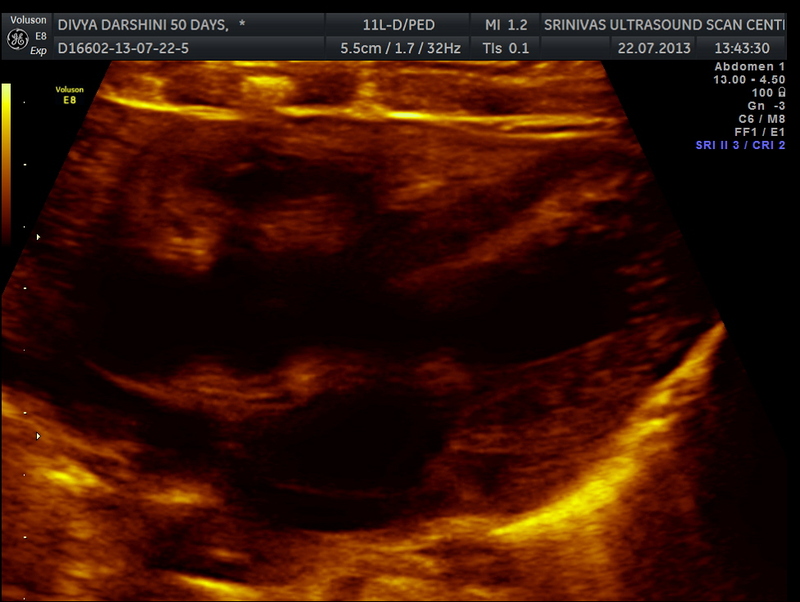 Apart from this the foetus has symmetrical IUGR and oligohydramnios Now the child was brought when she was 51 days old . She was born prematurely at 33 weeks of gestation . She had been seen at three higher institutions . 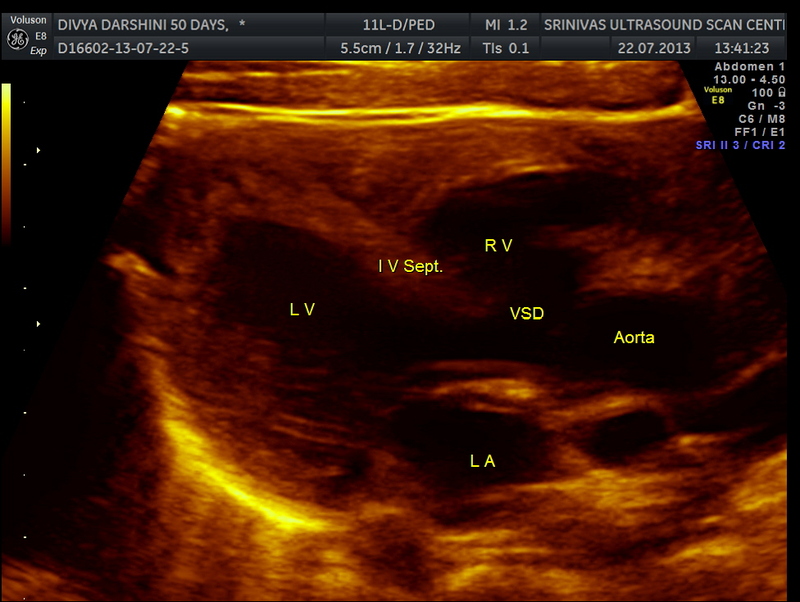 The paediatric cardiologist has given a working diagnosis of CONO TRUNCAL VSD. 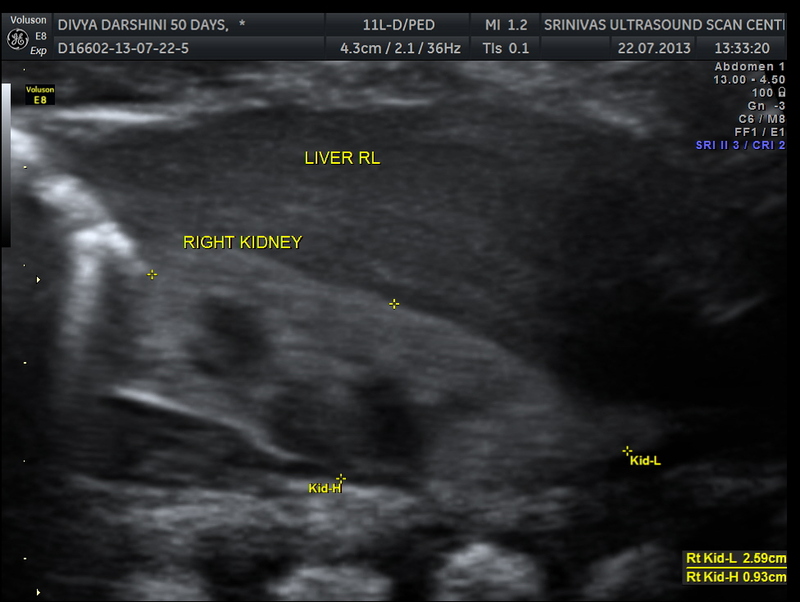 But the catch was that the child had renal dysfunction with s .creatinine around 2 mgms and the ultrasound could not visualise the left kidney. The right kidney was reported to be hyperechoic . 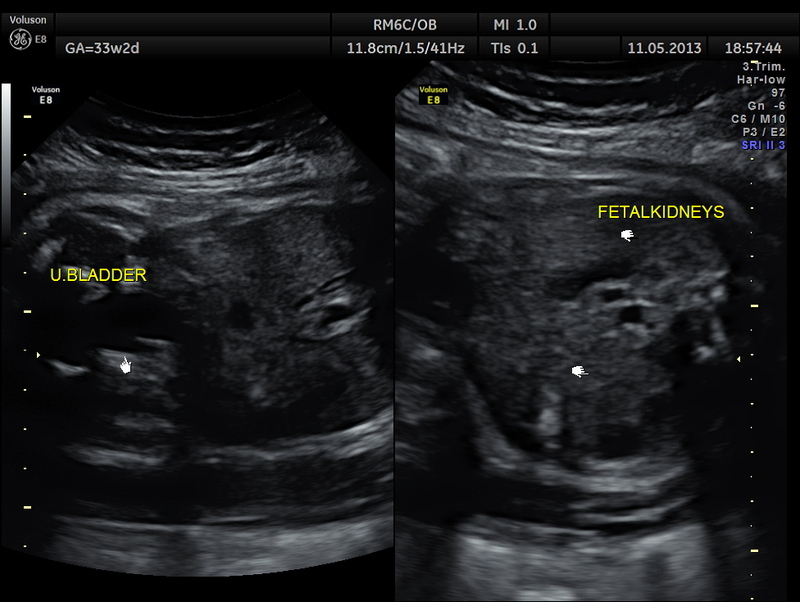 The following 2 pictures were of the fetal kidneys , as seen during the scan earlier. 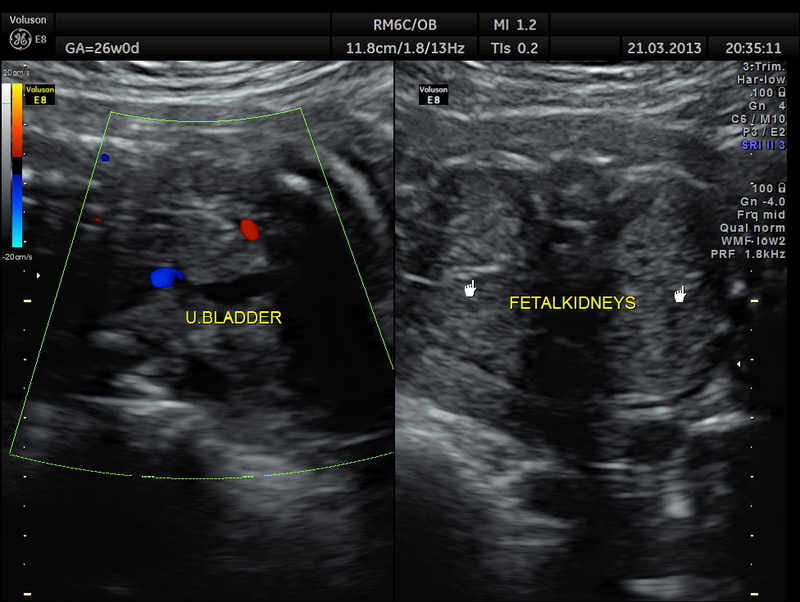 The following two pictures show the hyperechoic kidneys of the child with mild pelvi calyceal dilatation . The kidneys were picked up only with the 11 mhz transducer. The following pictures are of the heart of the child . 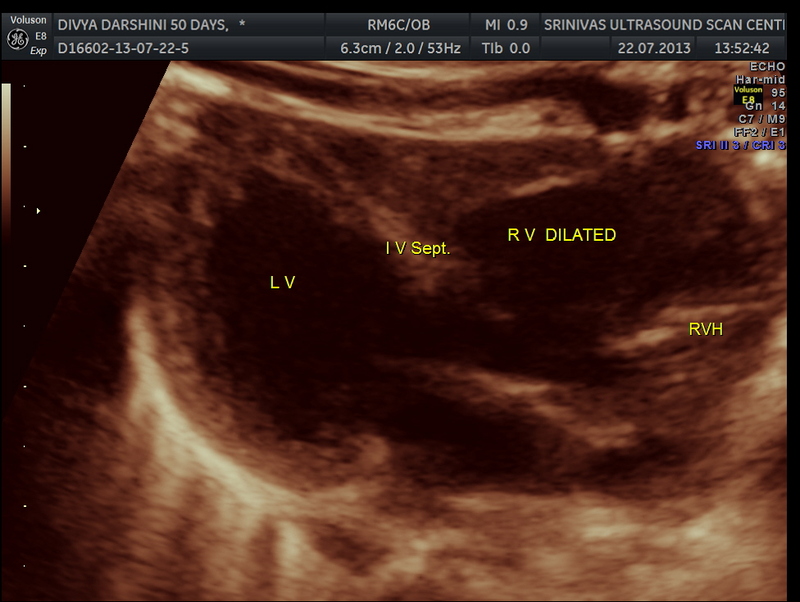 The IVS straddling the aorta is prominently seen ; The RV is mildly dilated . Though the pulmonary artery was difficult to comment on , I would still go with TETRALOGY OF FALLOT with RENAL DYSPLASIA , which makes it complicated. The following notes about cono truncal anomalies could be helpful . Conotruncal heart defects (CHD)s are group of congenital cardiovascular anomalies. They are a leading cause smpytomatic cyanotic cardiac disease diagnosed in utero. 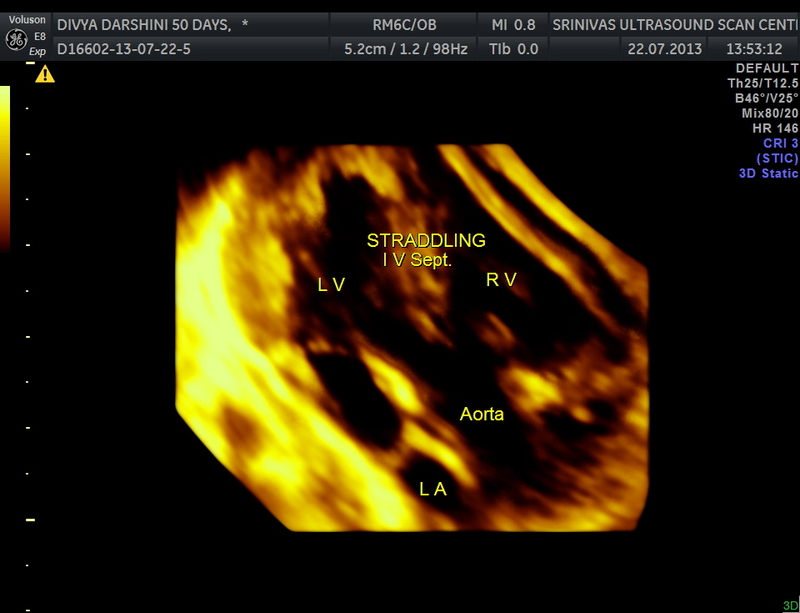 They may account for upto a fifth of all congenital cardiac anomalies diagnosed prenatally 2. 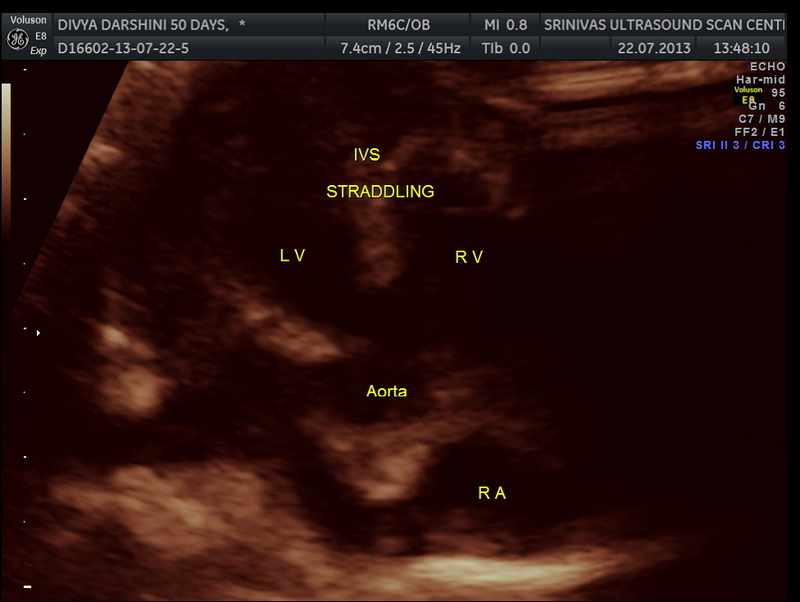 Due to parallel fetal circulation these are well tolerated in utero. Affected individuals there present with acute hypoxia within the first few days follwing delivery. 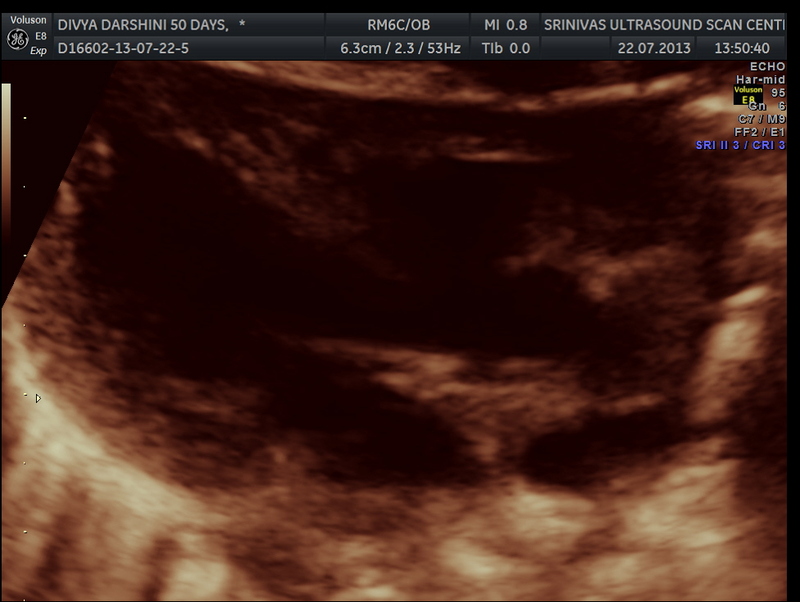 In present day and age most are detected on in utero ultrasound. They are usually defined as malformations of the cardiac outflow tracts and presumably result from either a disturbance of the outflow tract of the embryonic heart, or impaired development of the branchial arch and arteries, or both. 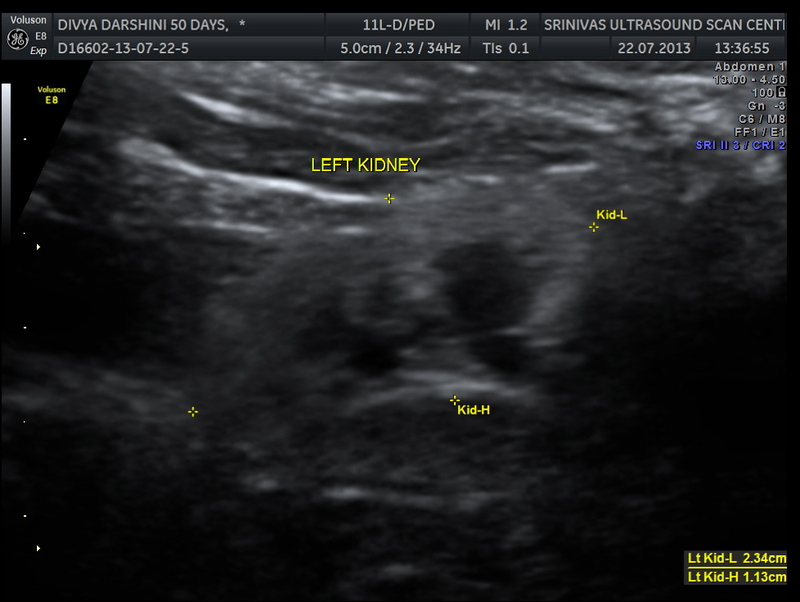 was the renal dysplasia linked to posterior urethral valve ?